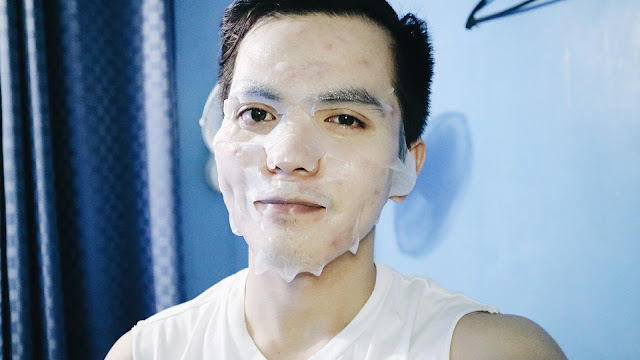 Home / Grooming / skincare / Vitapack Facial Mask: Why it's the best facial mask in the Philippines? 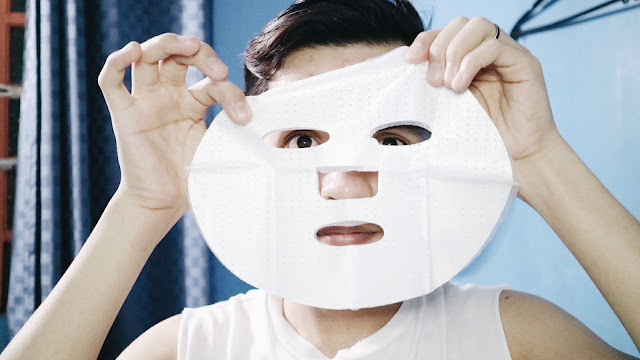 Vitapack Facial Mask: Why it's the best facial mask in the Philippines? I have been using this facial mask since November last year. It took me months to review this product since facial mask is not something you can use everyday. I don't want to give my verdict about this product with just one use because it will unfair for the brand and for you. Good thing VitaPack sent me a lot of this masks for me to try and share some to my monthly giveaways. 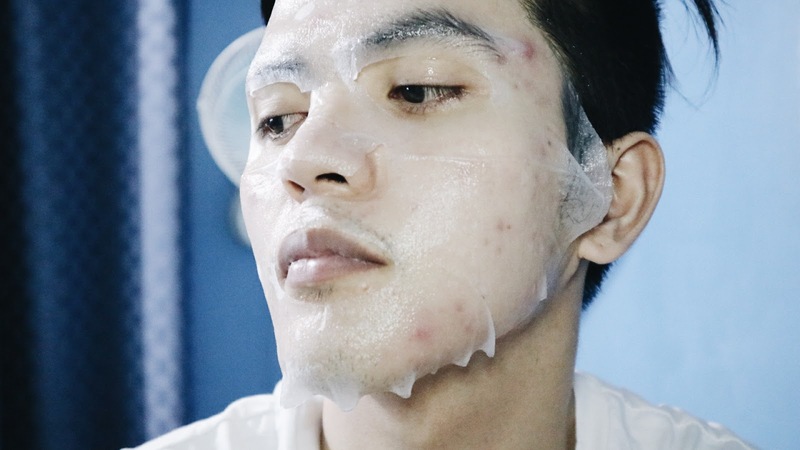 Vitapack Collagen + Arbutin + Q10 Perfecting Pepetide Facial Mask is the perfect treatment to rejuvenate your skin. As skin matures, it becomes thinner, begins to sag, and develops sun and age spots. Our facial mask will let the ingredients of collagen, arbutin, and Q10 sink into your skin, helping boost energy production in the cells to reduce the appearance of fine lines, wrinkles and skin blemishes. This mask promotes fairer, brighter and smoother skin tone and texture, and helps restore and maintain the elasticity of the skin. The result is supple, radiant, and beautiful skin. I use this product once, twice or thrice a week and I'll explain why. 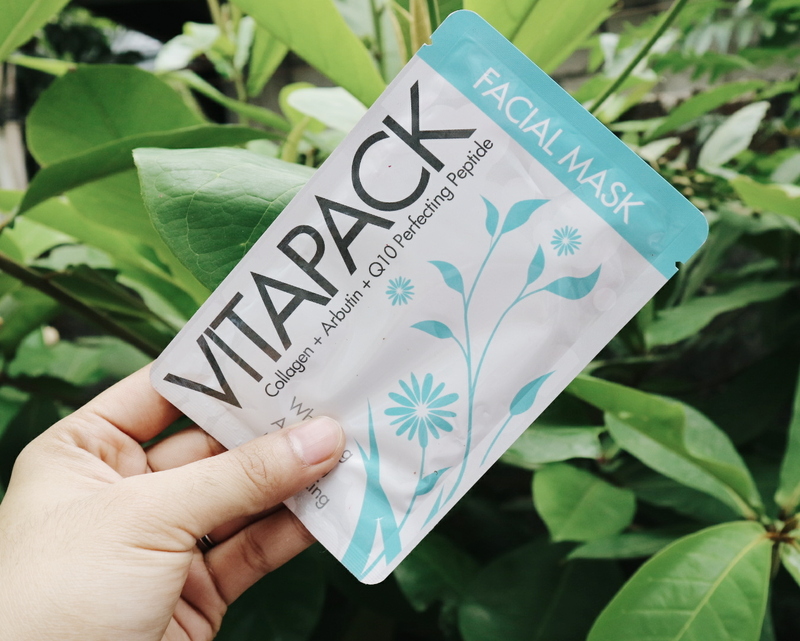 On the normal days, I use Vitapack twice a week but when I have an event to attend to, I use VitaPack Facial Mask to prep my skin. It's the only mask that gives my skin a nice dewy finish that turns into matte when fully absorbed by our skin so it's perfect for all skin types. My makeup stays longer when I prep my skin with this amazing mask. I am just not so impressed with its packaging. 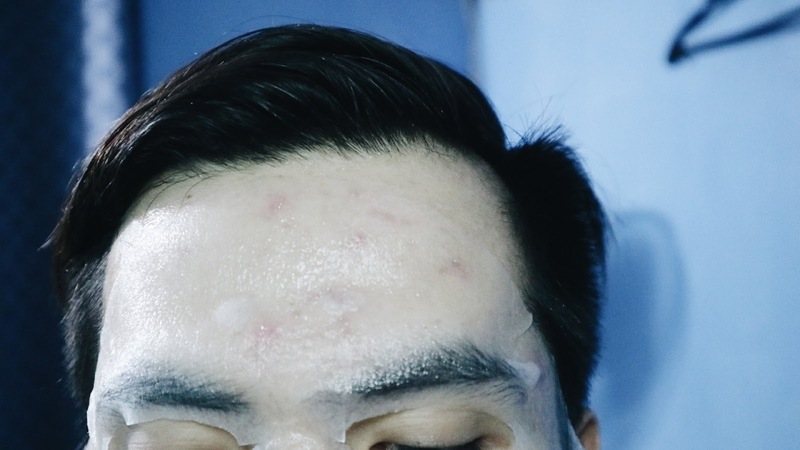 I mean there's nothing wrong about it it's just that I see a lot of quirky and cute korean facial masks that why haha. On the lighter note, its packaging contains all the things you need to know about the product. It's very detailed so the not-so-appealing packaging will not hinder you from buying the product. Another thing that I noticed is the sheet. It's kinda shorter than normal ones. However, it's overloaded with serum. The serum inside is generously packaged so I use the excess to moisturize my arms and legs. For me this is the best whitening and anti aging facial mask in the Philippines and I highly recommend it. You know how sincere I am when recommending you a product. When I say it's the best, I mean it's really the BEST!